This casket reinterprets a traditional shape with a modern design edge. It is crafted from North Island sustainable Rimu. There is plenty of room inside and the extended handle means more pallbearers. It comes with a wool mattress and a pillow. This sleek plywood casket is sanded and coated with a light natural oil. It is a multi-award winning, unique New Zealand design. It comes with a wool fleece mattress and pillow. Redford Macrocarpa – This Macrocarpa casket is available in a flat lid or raised lid option and can be lined with satin or unbleached calico along with a wool mattress. Recycled Native Timber – This unique classic casket is made of recycled native timber, so has the depth in the timber that recycling brings. It can be lined with satin or unbleached calico along with a wool mattress and plush pillow. Wool Casket – This tactile and soft casket is made with New Zealand wool and is available in various sizes. It has a recycled cardboard frame with strong hardboard end panels, organic cotton liner, and wool pillow. This casket reinterprets a traditional shape with a modern design edge. It is made of solid radiata pine. Its delicate shading and subtle woodgrain convey a strong sense of grace and elegance with the whitewash. This casket reinterprets a traditional shape with a modern design edge. It is made of radiata pine which has been sustainably grown in New Zealand. It has been sanded and then lightly waxed, giving it a silky sheen. Wicker Basket – This casket has been likened to a moses basket. It comes with a cotton lining and big pillow. It looks beautiful with flowers laced around the edges. This is a veneer Rimu with D handles. Lovely slick lines and comes with a mattress and linings. Solid Pine – As the name states, this casket is made of solid pine which has been sustainably farmed. It can be lined with satin or unbleached calico along with a wool mattress. 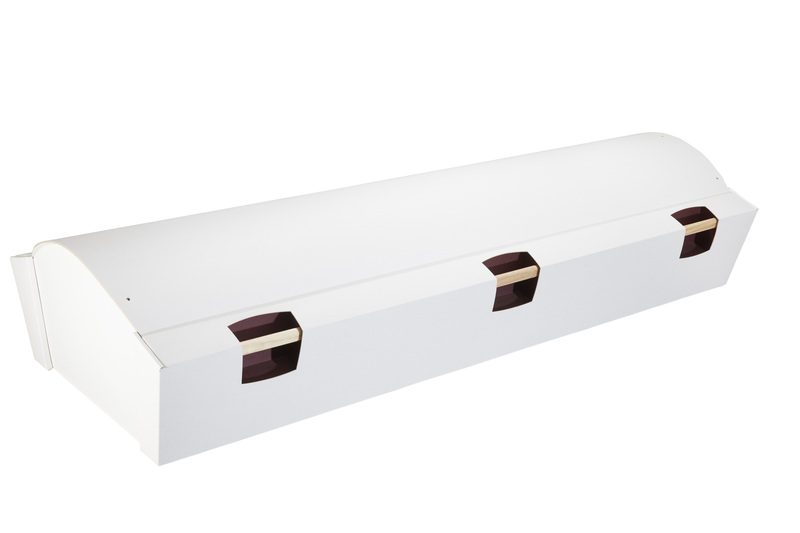 This casket has a smooth and natural finish. 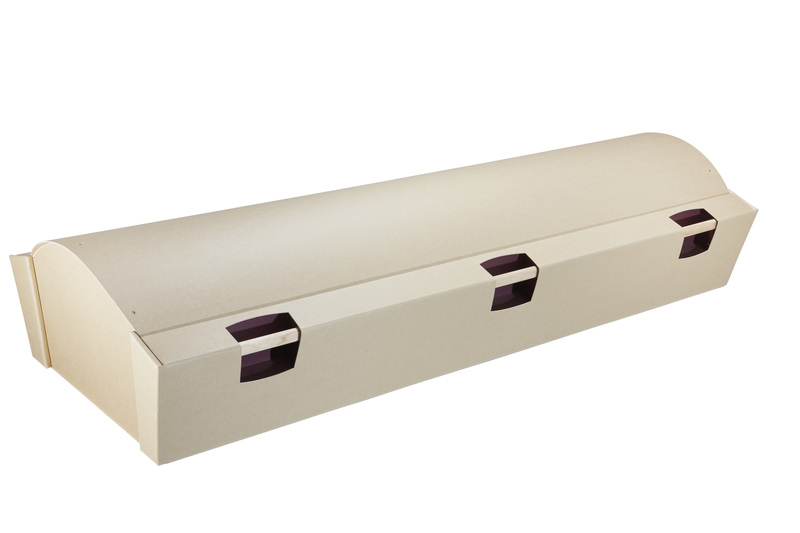 This traditional casket is a veneer with an elegant drop handle that is comfortable for carrying. Richmond Painted – This casket is available in red, yellow, white or black – but it can be painted in any colour that has a chart number. We do require three days to have a casket specially painted. This is a sturdy cardboard casket with a timber frame, cradle like inside and ready to paint, message or draw on. The wayfarer is made from laser cut plywood. It features leather handles and is extremely lightweight but very strong. As natural as you can get. This shroud board is made with plywood and has six comfortable hand grips for pallbearing. We can shroud in white cotton with a green silk ribbon or a fabric of your choice. Ply Casket With Rope Handles – This simple ply casket has sturdy rope handles, giving it a nautical feel. It has a smooth and natural finish with simple linings. This is a unique ply casket that comes together without any screws or glues making it the perfect ecco choice. This is a simple casket in ply with no handles and lots of room. It can be painted or drawn on and have a wool mattress if required at an extra charge of $90. 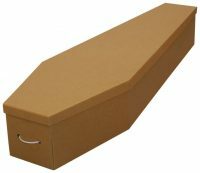 Cardboard Casket – After coming across a lot of people who said ‘just chuck me in a cardboard box’ the cardboard casket was developed. It sits on a solid ply base with two rope handles at each end. This versatile casket can be left as is, it can be decorated with pens, stickers, and glitter glue (all of which we can provide).